Acer Touchscreen Chromebooks With 8GB Of RAM Incoming? 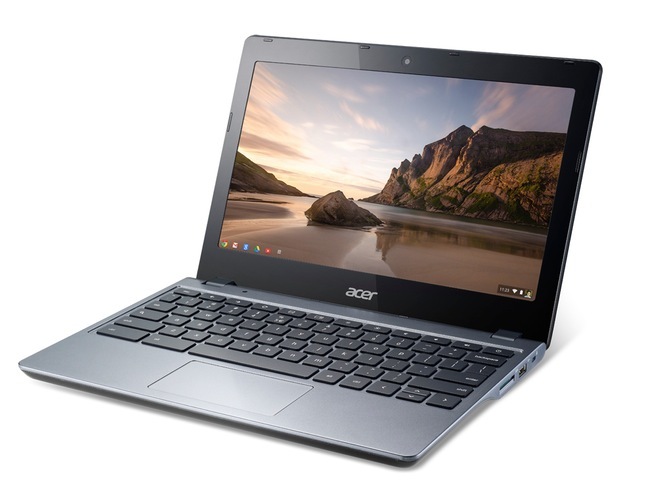 Recently Acer has launched a new Chromebook to their range in the form of the Acer C720 which is currently available to purchase for $249 in the US. However the Chrome Story website has received information from a source based in Sweden that suggests a new Acer laptop is in development that may soon come supplied with 8GB of RAM and 32 GB of internal storage together with touchscreen technology for the display. Currently the Acer C720 Chromebook is equipped with an 11.6 inch display and is powered by an Intel Celeron 2955U Haswell processor. The new boost in RAM and storage from 16 GB to 32 GB will definitely offer users a new option if they needed to do more multitasking on their Chromebook system. Whereas in the past multitasking and loading different operating systems on a Chromebook has been limited by the amount of RAM and processor power fitted within the devices. Unfortunately no information on pricing or worldwide availability has been released as yet by Acer to confirm or deny the rumoured new touchscreen Chromebook, but as soon as information comes to light we will keep you updated as always. If you are looking for a touchscreen Chromebook the Chromebook Pixel might be worth more investigation as it already offers support for this and is priced at round $1299.